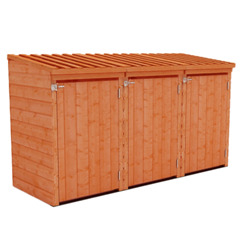 Find out more about our Bin Stores range. 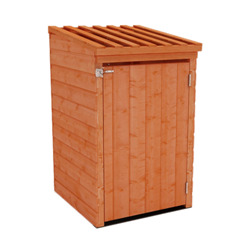 Created to fit a standard wheelie bin our wooden stores are made using our tongue and groove shiplap cladding so that you can smartly tidy away your bins. 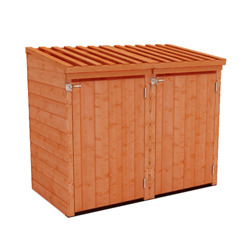 With a strong 28mm x 44mm frame and slatted lid the building will withstand years of use and provide ventilation to avoid trapping smells and moisture. Fitted with a chain which you can hook to the lid you access the bin with ease. If you would like to know more about this product please do not hesitate to contact our sales team on 0113 205 4189.